Children love to play outside but it isn’t always ideal if the surface is rough, uneven or muddy! 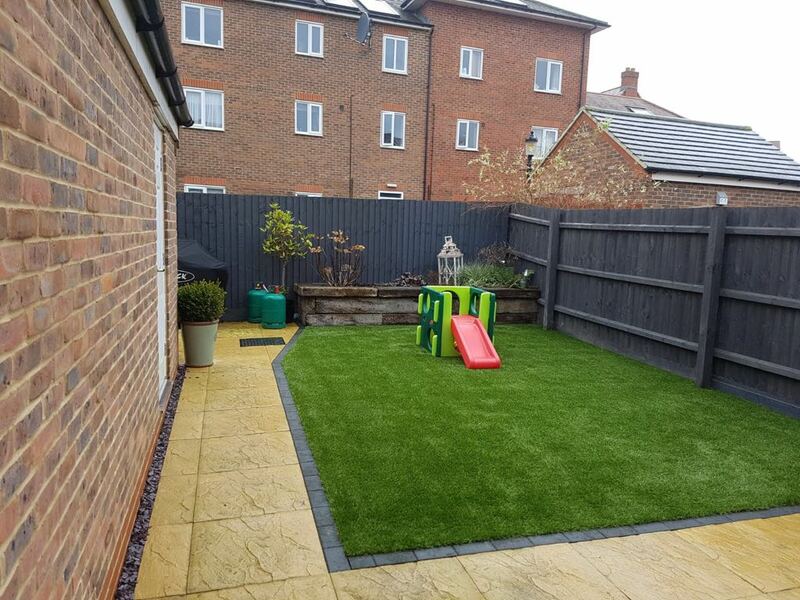 Artificial grass provides a great alternative for nurseries to use outside. It is soft under foot, hard wearing, durable and easy to clean making it ideal for an environment with lots of young children. With artificial grass installed at your nursery the amount of time the children can spend outside can be increased due to the reduction of mud and mess, perfect for very young children who explore with their mouths! Artificial grass can be enjoyed year round by the children. 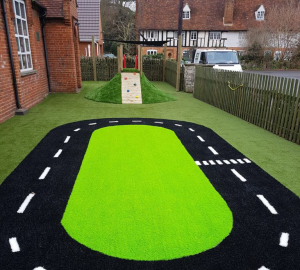 Along with classic green, bushy artificial grass we supply a ‘Schools and Playtime’ range which is made using bright, vivid colours that can be used to create any design you wish! Excite the children’s imaginations with fun shapes and games built into the grass without worrying about it wearing away from use. Use contrasting colours to create shapes, numbers, letters or board games safe in the knowledge that the pattern will remain as bright and vivid in years to come as it was when it is first installed. 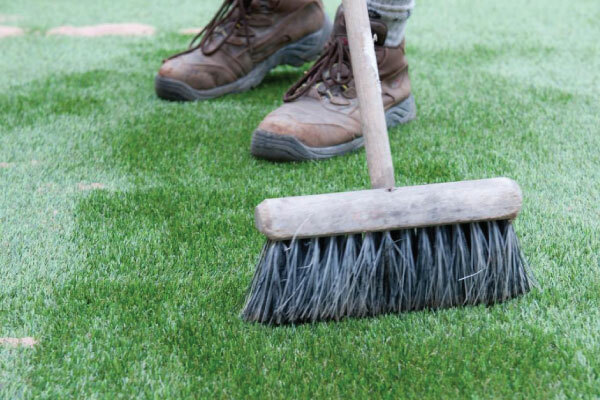 All of our grass is made to the highest quality ensuring it will put up with the excessive use of your nursery, along with being low maintenance. Bring the children’s imagination to life at your nursery with a fun, beautiful and long lasting pattern or game that will stop muddy feet being brought back inside and lessen your maintenance! 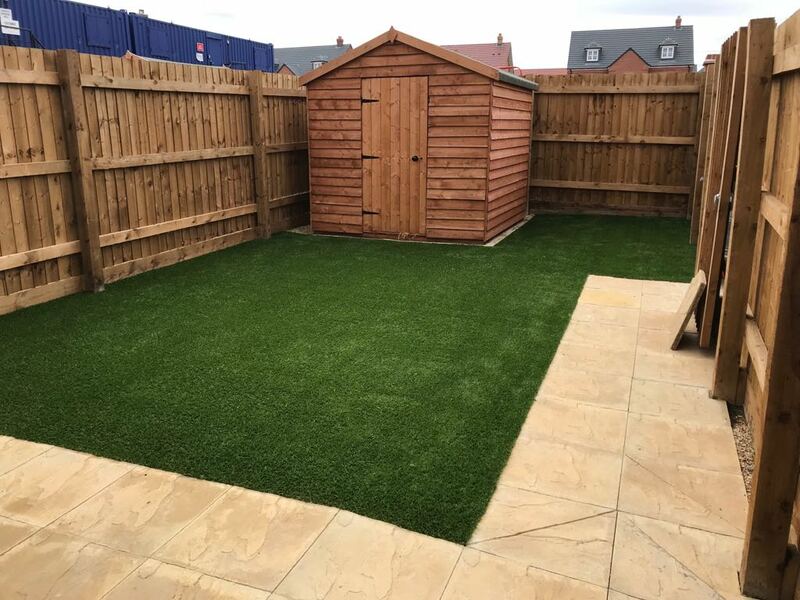 Make the most of all of your outside space by transforming previously unusable areas with artificial grass at your nursery. A permanent, soft and fun area for the children to enjoy! 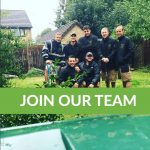 Whether you are an architect, builder’s merchant, landscape gardener, building contractor or garden designer and you need a trade artificial grass supplier, we’re your go to! 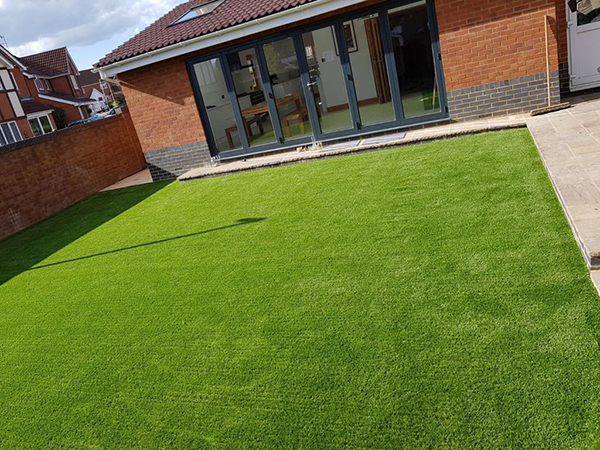 Our high quality artificial grass products are straight forward to install and provide years of use combined with great aesthetics. We even provide a ‘how to’ guide if you’ve never installed artificial grass before. We know the importance of having a supplier you can trust, that’s why we work hard to build a strong relationship with you and your business. On top of our excellent trade prices on artificial grass, we also have first class service and an amazing showroom. As well as artificial grass supply, we also provide jointing tape, adhesive & cutting implements. 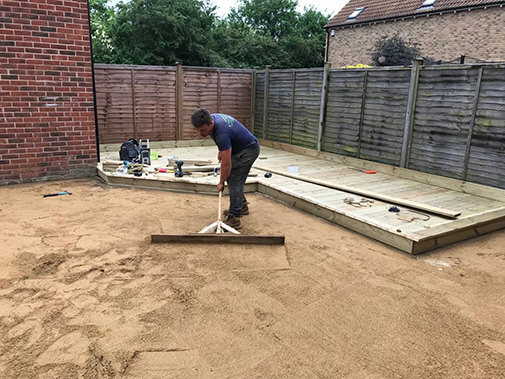 If you’ve never laid artificial grass before, our team can help you with a great ‘how to’ guide along with support throughout your project to ensure your client is happy. 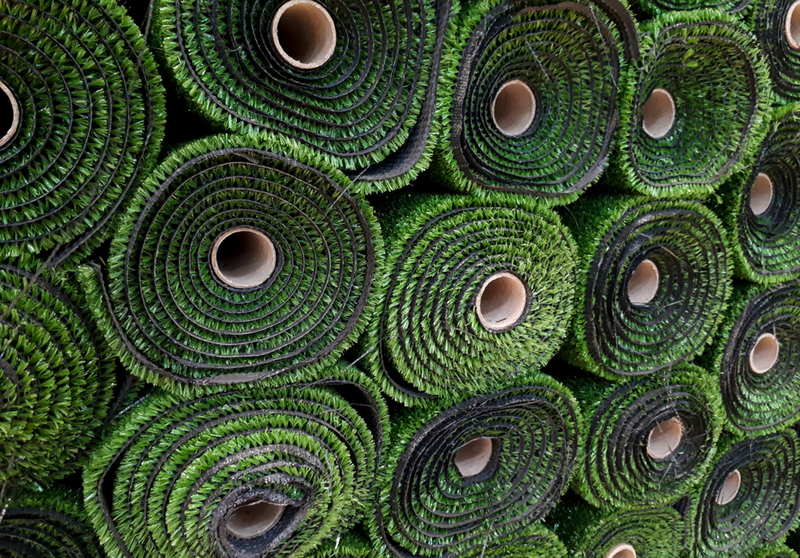 We’re a leading artificial grass supplier in England and always aim to provide leading support, advice and products. 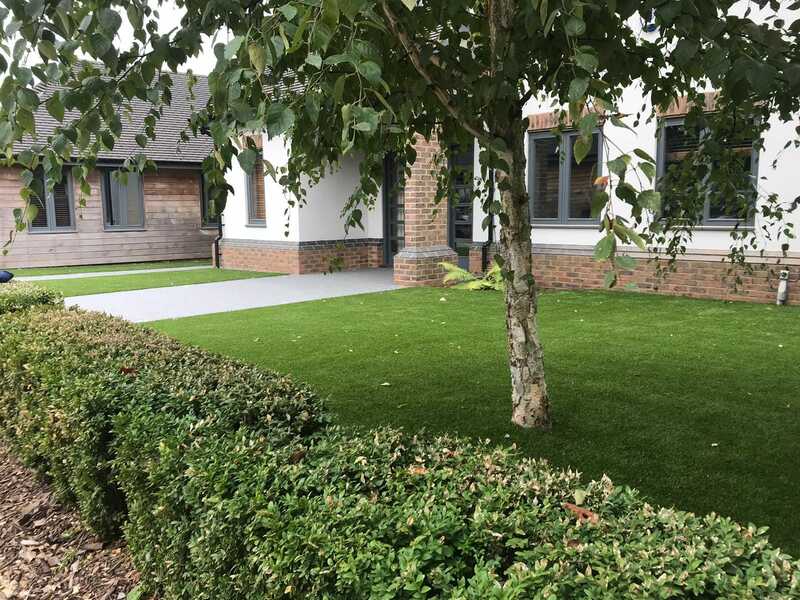 As well as providing and installing artificial grass at domestic houses, events and exhibitions, schools and nurseries, we also provide artificial grass for supply! 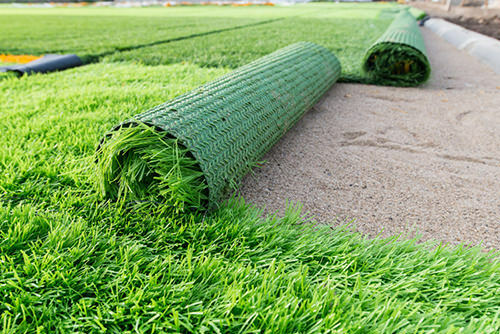 If you are a commercial or residential landscaper, property developer, garden centre, a builder’s merchant or a DIY retailer looking for artificial grass at wholesale price, Artificial Grass & Turf Solutions can supply large quantities of synthetic turf at trade price quickly and efficiently. 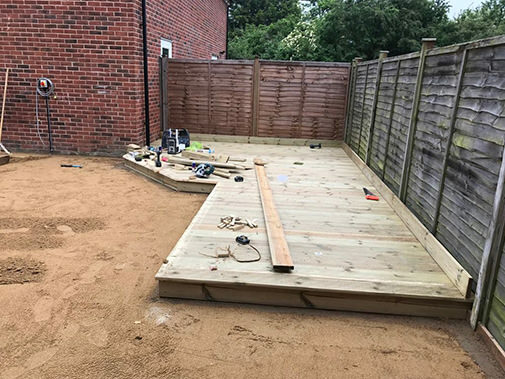 We understand the importance of having a trade partner you can trust so we work hard to build a long lasting relationship with you. Take a look over at our shop to see some of our grass range available to you and your customers! 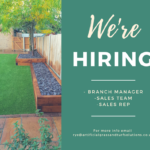 We are able to supply the landscaping and garden materials you need for your commercial artificial lawns, as well as giving you advice on the best method for your artificial grass installation ensuring your project is perfect. Artificial grass is the perfect pet friendly outdoor solution if you have animals in your home. No more muddy paws being walked back through the house, and no more digging in your perfect lawn! 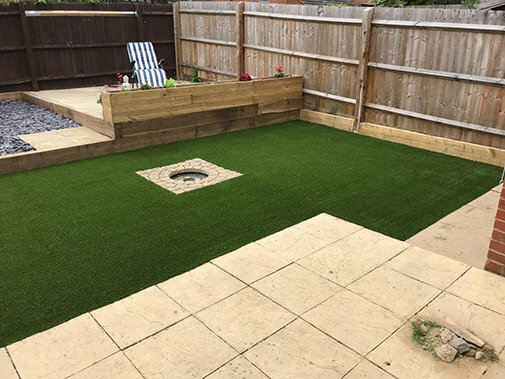 Artificial grass is also durable, low maintenance and makes it easy to remove any pet waste! Is artificial grass safe for my pet? What are the benefits of artificial grass for pets? Artificial grass has a whole host of benefits, which are great for families, especially families with pets! No more mud! Your pets can run in and out of the garden, without the worry of having to clean their paws every time! Your pet can enjoy going outdoors even when it has been raining. 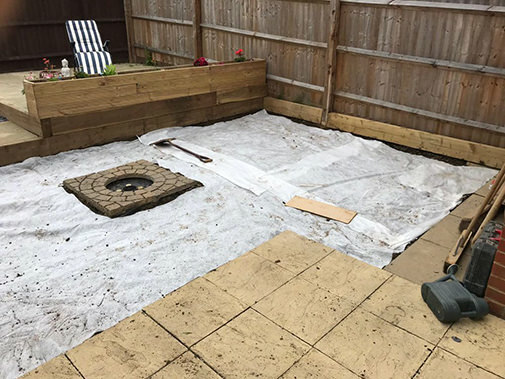 Our effective base layer allows liquid to drain away, leaving your garden bog and mud free! 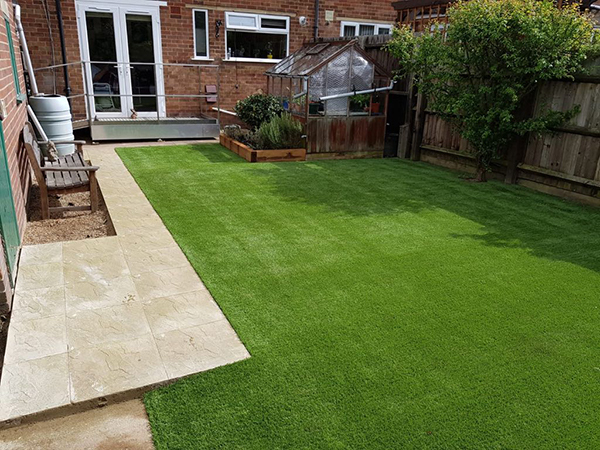 At Artificial Grass & Turf solutions, it is our belief that the maintenance of your artificial lawn is just as important as when you first install it. From our experience we recommend that you should have your lawn professionally cleaned at least once a year. We routinely book these appointments in during January and February to remove the mess, mud and debris that winter brings. Not only will this extend the life of your lawn, it will also keep it in the best condition it can be, all year round. 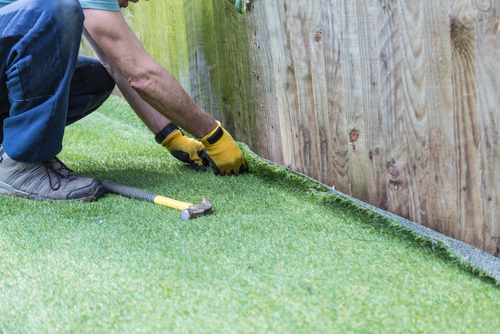 Some maintenance can be done by yourself at home to help extend the life of your artificial grass. 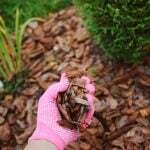 Removing leaves – To avoid leaves rotting down and causing discolouration, it is important to remove them, especially during the autumn months when trees are dropping their leaves. This can be done with a flexible lawn rake, a broom with stiff bristles or a stiff brush. 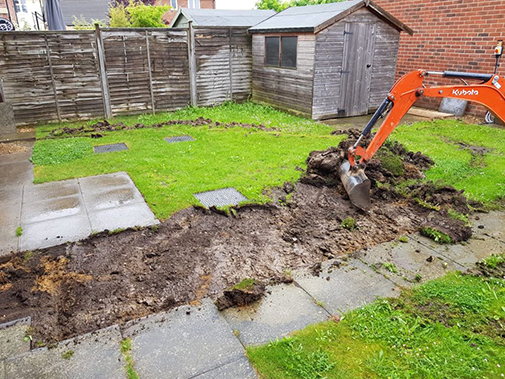 Raising the pile – Over time your grass may begin laying flat in areas of high use. No need to panic as this is simple to fix! Simply brush the area with a stiff brush to bring the blades back up! Removing pet waste – Artificial grass is pet friendly, and removing pet waste is simple. Simply use your preferred method of picking up animal waste (plastic bag or poop scoop) and hose down the area. If you wish you can add a mild detergent to give yourself extra peace of mind that the area is now clean and sanitised then you can! Artificial grass can make the perfect addition to your exhibition and event. 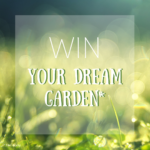 With outdoor and indoor events becoming more popular than ever, why not look to use artificial grass to transform the hard and boring landscape into an engaging, green and grassy environment. Using artificial grass when exhibiting at an event or exhibition can differentiate you from the crowd. 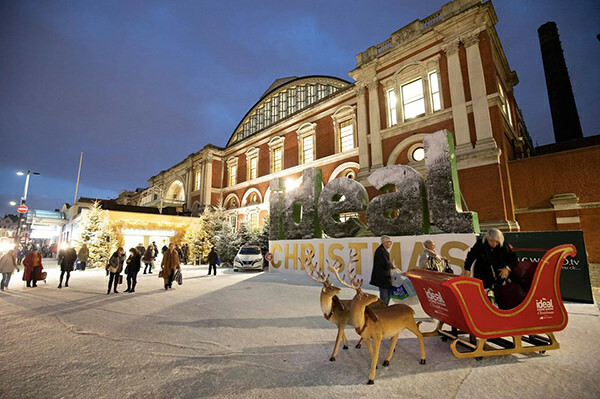 We feel artificial grass would be ideal for a wide range of businesses, and perfect for an outdoor-themed exhibition. 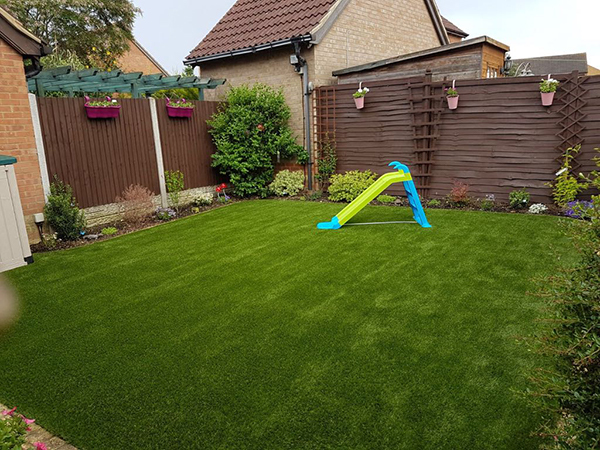 As well as lovely realistic-looking green grass, which is available in a range of pile heights, we also have various bright colours to choose from in the Schools & Playtime range: Lime, Trendy Turquoise, Brilliant Brown, Purple, Black & Pink! Putting on a garden party themed wedding? 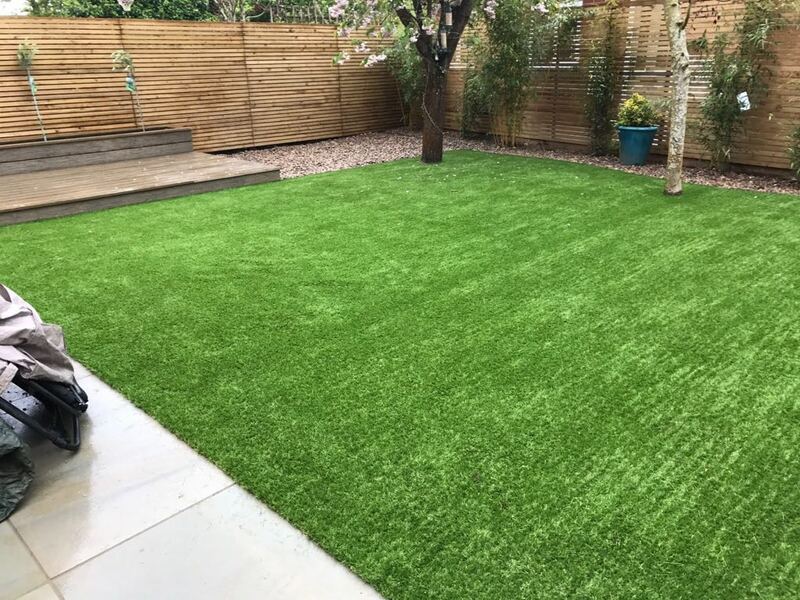 Artificial grass could be the perfect addition! 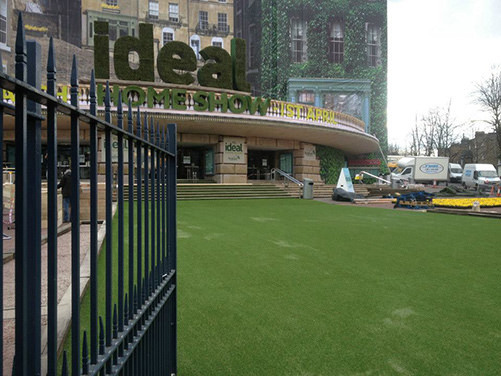 Having supplied and installed a whole range of artificial grass, in a number of colours at the Ideal Home Show in London over the last 6 years, including 2018 we have the experience to help you! Why is artificial grass good for events? 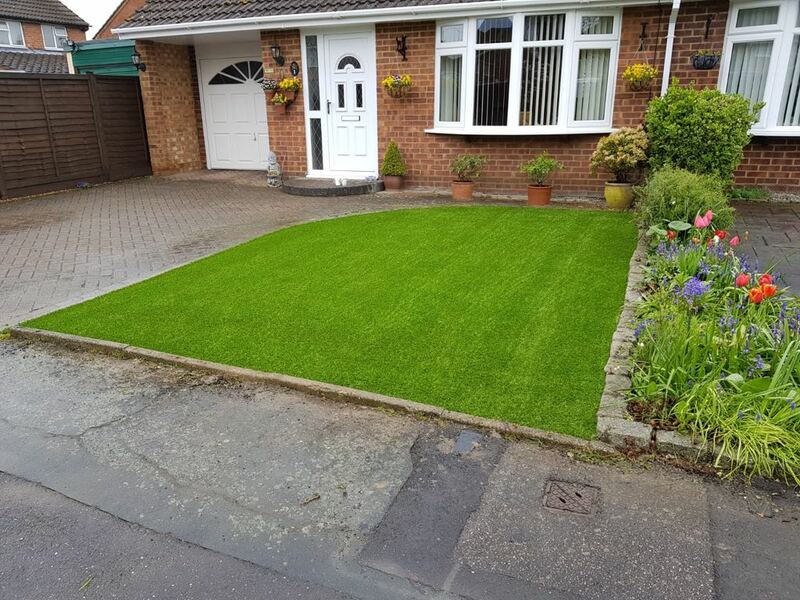 Artificial grass instantly transforms the look of an area. It can be laid for a short period meaning no structural changes are needed to enhance the look of your stand or wedding venue! Artificial grass turns heads, if you are at an exhibition the aim is to attract people to your stand and artificial grass is perfect for this. It is tactile, attractive and a conversation starter. It is quick and easy to install when using it in the short term meaning you can get your area ready without a big time investment. Artificial grass is hard wearing, durable and non slip making it perfect for weddings, exhibitions and events! 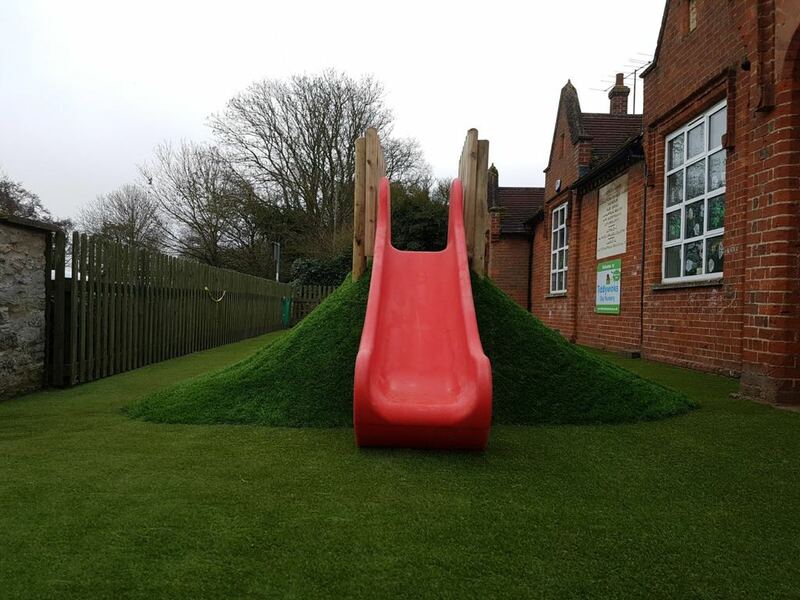 We provide a ‘Schools & Playtime’ range of brightly coloured artificial grass which can be made into vivid and enticing designs for any school! Our Schools and Playtime range can be installed to any shape or design, meaning it is very versatile and allows for a unique design every time! Why not incorporate hop scotch, number squares or a giant chess board? Safe in the knowledge the beautiful pattern won’t wear away under the children’s feet in years to come! Inspire children to use their imaginations and play games surrounded by bright and vibrant colours! Manufactured to the highest quality, combined with high durability and low maintenance, it makes the perfect addition to any school playground, public play area or your garden! Installing artificial grass at your school or nursery means that areas that were previously unusable due to muddy, boggy areas, are now perfectly safe and accessible for children to enjoy! It is a permanent, soft installation which will remain in perfect condition for years to come! 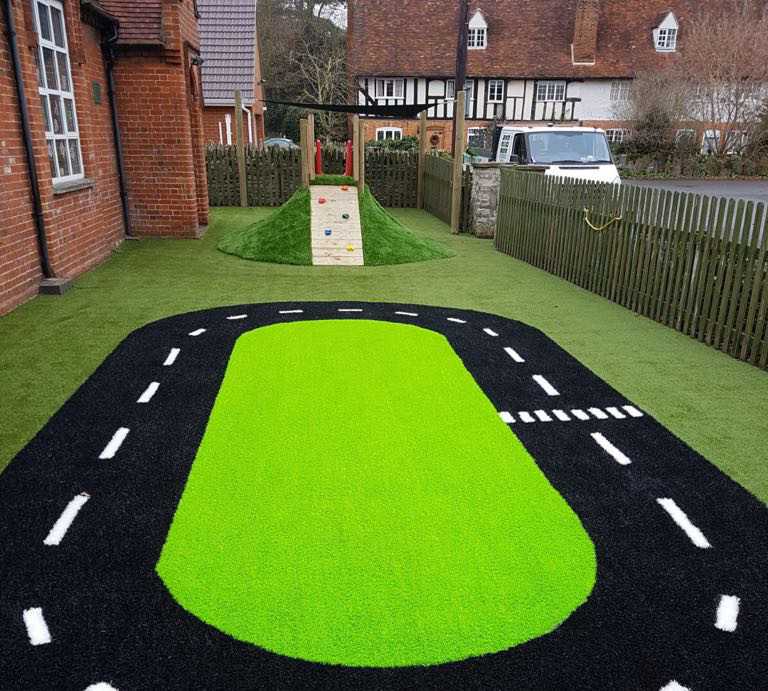 Artificial grass stops muddy footprints being stepped through schools corridors, lessening the clean up from a very active playtime, whilst allowing children to enjoy playing outside, whatever the weather! 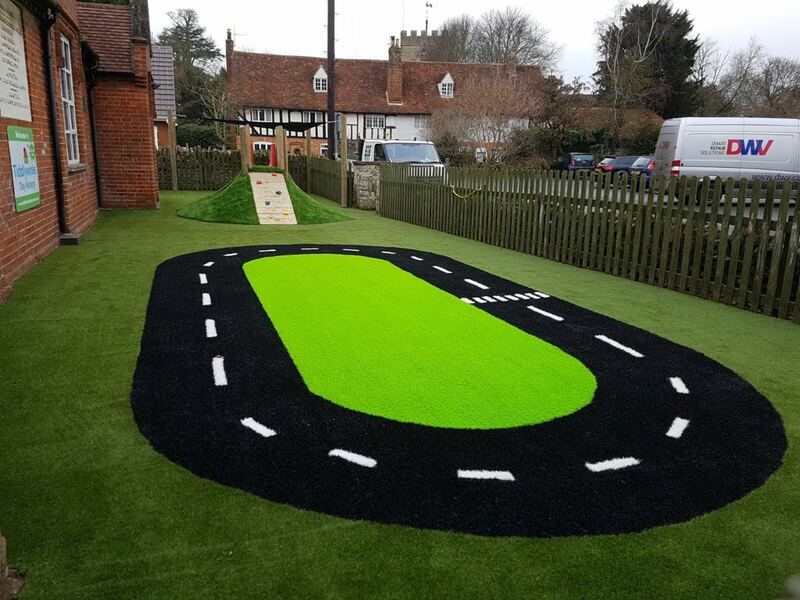 Our coloured artificial grass integrates seamlessly with any of our other ranges meaning you can personalise the area perfectly, and unlike paint on pavement, the pattern won’t wear away after heavy use from children’s feet! Bring children’s imaginations to life!